We here at Hughes Group are constantly on the lookout for like-minded projects, similar in design or innovation to our aerodynamic and ultra lightweight Electric Vehicle “Road-E Car”. We’re interested in David Nelson’s Blog of research, design and trial and error processes and exploration in creating the Gizmo. It’s a great page. Check it out. Another innovative project is the Schultz Engineering, LLC 2013 Concept Vehicle. Their website is a great photo diary of a project coming together from drawings on the page to manufacturing each and every step. It’s a very sleek design, definitely one to turn heads and we’re very inspired. Thanks Schultz Engineering! The third website we’re very intrigued and interested in is the Zap! Electric Vehicles Page. As also featured in Wired Magazine “Hype Machine: Searching for ZAP’s Fleet of No-Show Green Cars“. The Zap ALIAS car is obviously very sleek and sporty and we will be following this project with much interest. 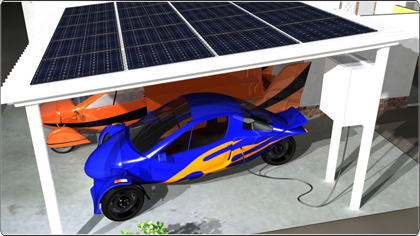 It’s always interesting cruising the net, and getting out there and meeting the electric vehicle community, for designs and ideas that capture the imagination and step away from the confusingly popular mainstream hybrid vehicles. Light, aerodynamic and usable is the key. Stay tuned as the Road-E Project develops further!